Tripped Up by Snafu on Starling Murmurations, University of Chicago Evolutionary Biologist Jerry Coyne Tell Us to "Stuff It!" How Do You Build a Transparent Cornea Out of Cells and Proteins? 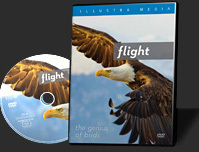 Wednesday, July 17, It's the Seattle Theatrical Premiere of Flight: The Genius of Birds! And It's FREE. Where Does a Bird’s Magnetic Sense Reside? In Nature and in the Lab, Demonstrating Paul Nelson's Dictum, "If Something Works, It's Not Happening by Accident"